The responsibility for patients does not end for hospitals upon discharge. Hospitals maintain and should embrace their responsibility for helping ensure patients remain on the path clinicians determined was best for continuing and completing treatment. Effective discharge planning is critical to maintaining this care continuity. As a Pennsylvania Patient Safety Advisory report notes, "Discharge is a critical juncture for transitioning to post-hospital care, and incomplete discharge processes may cause harm to patients. 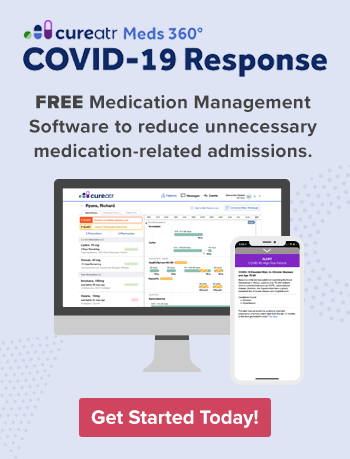 … The discharge process is intended to provide patients with adequate information and necessary resources to improve or maintain their health during the post-hospital period and to prevent adverse events and unnecessary rehospitalization." Just how important is discharge planning? The patient safety implications alone support its significance, but so do actions by regulators. As a Forbes article notes, "Both states and the federal government are taking steps to require hospitals to improve their discharge plans and better communicate them to patients and their families." For example, the Hospital Readmissions Reduction Program (HRRP) is a Centers for Medicare & Medicaid Services (CMS) pay-for-performance program that lowers payments to Inpatient Prospective Payment System hospitals with too many readmissions, which are often linked to poor hospital discharge planning and execution. As Kaiser Health News reports, under HRRP, Medicare reduced reimbursement for more than 2,500 hospitals for fiscal year 2018. Whether or not your hospital was one of those penalized, improving your organization's discharge planning is a worthwhile endeavor. As a Family Caregiver Alliance (FCA) report indicates, "Studies have found that improvements in hospital discharge planning can dramatically improve the outcome for patients as they move to the next level of care." Fortunately, there are numerous resources available that can help you make such positive changes. Here are five worth reviewing. The Agency for Healthcare Research and Quality (AHRQ) offers a discharge planning toolkit designed to help organizations better engage patients and their caregivers to improve the safety and effectiveness of transition in care. The toolkit is included as part of the AHRQ initiative Guide to Patient and Family Engagement in Hospital Quality and Safety, which AHRQ describes as a "tested, evidence-based resource to help hospitals work as partners with patients and families to improve quality and safety." Include the patient and family as full partners in the discharge planning process. Discuss with the patient and family five key areas to prevent problems at home: i) describe what life at home will be like; ii) review medications; iii) highlight warning signs and problems; iv) explain test results; and v) make follow-up appointments. Educate the patient and family in plain language about the patient's condition, the discharge process, and next steps at every opportunity throughout the hospital stay. Assess how well doctors and nurses explain the diagnosis, condition, and next steps in the patient's care to the patient and family and use teach back. Listen to and honor the patient and family's goals, preferences, observations, and concerns. Resources within the toolkit include an implementation handbook, which provides step-by-step guidance to help hospitals implement the IDEAL strategy and addresses potential challenges; a handout which provides an overview of the discharge planning process and includes a detailed checklist to be completed for each patient; and a PowerPoint presentation to help organizations train clinicians and staff to support efforts to improve patient and family engagement with discharge planning. Download all the IDEAL Discharge Planning materials in zipped format by clicking here. Want to determine if your hospital is meeting CMS requirements concerning discharge planning? Fill out this worksheet. Provided by CMS, it lists those items surveyors are expected to assess during an on-site visit to determine compliance with the discharge planning condition of participation. Download the worksheet here. Find inspiration for your hospital to undertake discharge planning improvement projects with this report from the American Hospital Association (AHA). It provides samples of hospital discharge planning tools from five organizations that set out to improve their patient transitions to post-acute care and decrease readmissions. In addition to profiling each of the tools, the report covers many other topics, including challenges to implementing hospital discharge planning tools, key lessons learned from the evaluation of the tools, commonalities across hospital discharge planning tools, and a comparison of hospital discharge planning tools to patient assessment tools. Download the AHA report here. The booklet also allocates space for listing medications and upcoming appointments and includes a list of agencies offering community services. Download the CMS booklet by clicking here. "Hospital Discharge Planning: A Guide for Families and Caregivers" is a tool from the aforementioned FCA. Described as a "fact sheet," it covers basic discharge details, such as defining discharge planning and explaining its importance before diving into the caregiver's role in the discharge process, explaining where families and caregivers can receive assistance with care responsibilities, and discussing other critical issues. 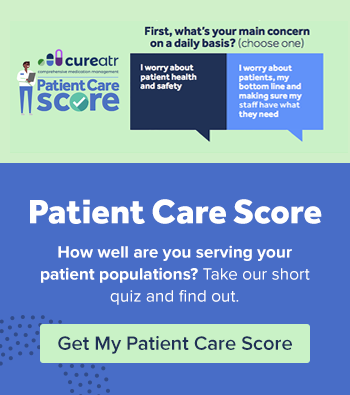 A particularly helpful resource comes at the end: a series of basic questions caregivers can ask to help them provide better support following discharge and a checklist detailing the type of care families and caregivers may need to provide. Download the FCA fact sheet here.